Note: Below is a Fantasy NASCAR ISM Raceway, Phoenix preview article from Wheels (@DK_Wheels) and PJ (@PJFrapDFS) of the Power Hour DFS (@PowerHourDFS) crew. Race number four on the Monster Energy Cup Series schedule brings us to the desert! ISM Raceway is a very unique track and it certainly takes a lot to be able to win at this place. The track itself is essentially a low-banked one mile "reverse" tri-oval. I see it as a reverse tri-oval because of the unique backstretch here. BUT that is actually no longer going to be the case after this weekend's race as they are moving the start finish line to the current backstretch to make that the new front stretch to give it more of a traditional feel. We saw last year in the spring race here that brakes and tires will be a big factor in the race this weekend. Countless drivers ended up complaining about their brakes going away on them last year, some even causing them to pop right front tires, because the brakes were getting so hot that they were melting the beads on the tires. Because you are braking so hard here each and every lap, this will certainly be a concern going into this weekend. Last week we saw that aerodynamics played a big part in the race, don't expect to hear the words "aero" uttered on the broadcast this week. This has more of a local short track feel and the cars who can get through these tricky flat corners the best will be the ones fighting for the win come Sunday afternoon. Kevin Harvick - Harvick has eight Phoenix wins under his belt (27% of his starts), which is four more than the next closest driver all-time. During that time, he has led an astonishing 1,484 laps! The most bizarre part about that stat is that he didn't even lead a single lap here in 2017, but as you've all seen this year, Harvick is clicking on all cylinders and will be looking for his 9th Phoenix win on Sunday. Chase Elliott - As you look over those 2017 numbers, it's pretty evident that Chase ran pretty well here last year as he finished 2nd overall in the Spring and took home the top overall DraftKings score in the Fall. Chase will be looking to rebound this week after getting caught up in Kurt Busch's mess last weekend. Kyle Larson - Larson seems to be leading the pack of Chevy's just like he was last season. He could easily be overlooked this weekend with Harvick stealing all of the Dominator attention and Larson coming off a blown engine that resulted in a last place finish last fall in the Playoffs. It isn't often that you have one driver dominate an entire race start to finish, especially with the introduction of stage racing. 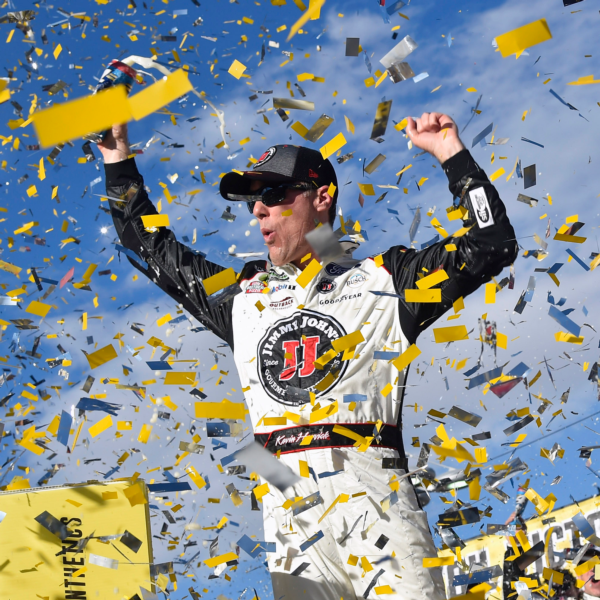 BUT, that's what we have seen the last two weeks and now that Harvick comes to Phoenix on a two-race win streak…in dominating fashion, it makes you wonder if you really need more than one dominator!? But, the moment that you start building lineups strictly around bias is the moment you start losing, so I will be sticking to a 2-3 dominator build, but if you are building multiple lineups I guess I couldn't fault you for building a Harvick plus value only lineup. 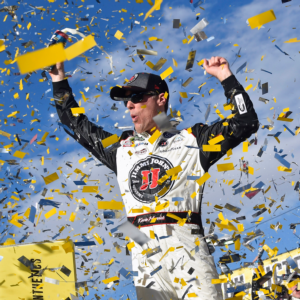 Harvick has been a top six overall DK scorer in nine straight Phoenix races. If Ty puts up another qualifying effort like he did in Las Vegas, he looks to be a great early week value. How fitting! The man that the PowerHour team is raising money to support is the punt of the week! After a SOLID 22nd place finish in Las Vegas, his price dropped??? 20+ in three of his last four and that's really what you are looking for in a punt, especially one under $5k on a week where you can't miss out on your Dominator points.